Owner priced for quick sale and ask Buyers to bring all offers. This home was remodeled in excess of $165K in 2016 and included all new windows, doors and sliders, new hardiplank siding entire exterior, a second top open deck with spiral outside stairs, new hot tub and cover and many other improvements. This floorplan CAN NOT be duplicated by new construction due to DNREC setback requirements. Step inside and feel the warm welcoming features of this 1st class home with 80" 3D TV (Plus movies), Bose surround sound system, granite countertops, new stove/washer & dryer, named bedrooms & baths, and many other features. All offers MUST contain the language to stipulate that the Sellers has 30 days from ratification of agreement to obtain a Court ordered release of lien to facilitate the sale. If such order is not obtained within the 30 days, Buyers have the right to declare the agreement Null and Void and will be refunded all deposit money upon request. AWESOME OCEAN FRONT! 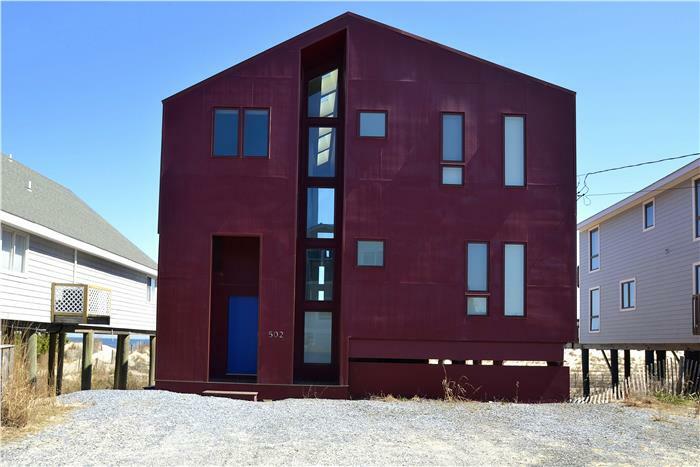 Enjoy year round living in this Ultra-Modern,architectural work-of-art home. It has a Steel sub-frame, hurricane rated windows, and has been built with integrity, and the highest quality, most durable structural materials. Just a short drive from all major Mid-Atlantic Metropolitan areas. Located in the less congested "Quiet Resorts", (with life guarded beaches), of South Bethany. Beach replenishment was completed in the 2018 summer. 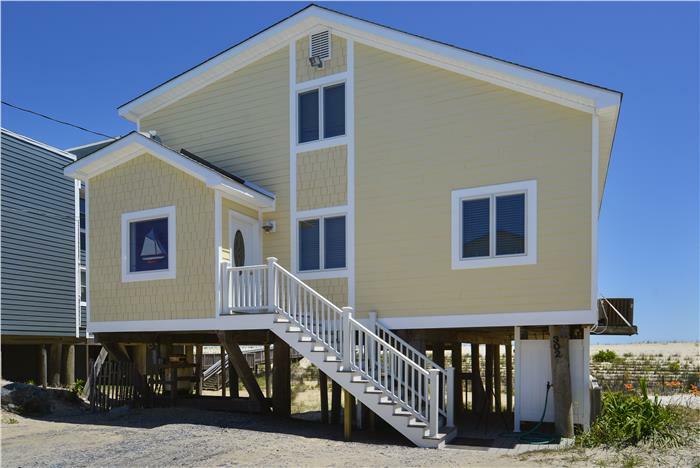 The low maintenance finishes, both inside and out, allow you to just relax and enjoy the beach! Awaken to your easterly facing OCEAN FRONT, top floor, Master Suite. Spectacular views, sights and sounds of the ocean, especially the morning sunrise right from your bed. 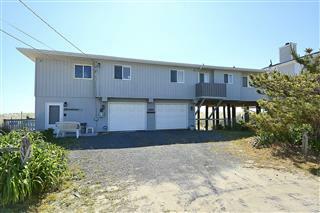 AND, Your 500 sq ft oceanfront deck is perfect for grilling!